Professorin für Gender Studies in Ingenieurwissenschaften an der Technischen Universität München (seit 2004). Forschungsschwerpunkte: Gender und Diversity in (Wissenschafts-)Organisationen, in der Ingenieurausbildung, im Ingenieurberuf sowie in der Technikforschung selbst (www.gender.edu.tum.de). Stellv. Vorsitzende des Kompetenzzentrums Technik-Diversity-Chancengleichheit e.V., Mitglied u.a. 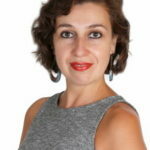 im VDI, dib und SEFI (Société Européenne pour la formation des Ingénieurs), dort chairwoman der working group Gender and Diversity in Engineering Education. Expertin und Gutachterin in verschiedenen nationalen und internationalen Kommissionen und Gremien. Beraterin für öffentliche Einrichtungen und Unternehmen. Es kommt uns ja – aus der nord-westlichen Perspektive – oft so vor, als sei der Ingenieurberuf, als sei die Technik, schon immer ein Feld gewesen, auf dem sich primär Männer tummeln. Erst der Feminismus habe, so der Mythos, diese Tatsache in Frage gestellt und seitdem unendlich viele Maßnahmen aufgelegt, um den Anteil von Frauen im Ingenieurberuf zu steigern. Und noch immer gelten Frauen im technischen Feld, Ingenieurinnen, als besonders, ungewöhnlich. Sie sollen beweisen, dass sie es können, erklären, warum sie „als Frau“ einen technischen Beruf gewählt haben, müssen gleichzeitig ihrer Geschlechterrolle entsprechen. Doch seit wann gibt es den Ingenieurberuf überhaupt? Wie hat er sich zu dem entwickelt, was er heute darstellt? Wie wurde und wird Inklusion und Exklusion betrieben? Und was hat das damit zu tun, dass Frauen und Männer in Deutschland lange unterschiedliche Bildungszugänge und –chancen hatten? Mein Vortrag befasst sich zunächst mit den historischen Entwicklungen des Ingenieurberufs in Deutschland und leitet dann über zu aktuellen Untersuchungen aus der Genderforschung in MINT zu fach-und organisationsimmanentem Wandel bei gleichzeitigem Widerstand gegenüber einer nachhaltigen Veränderung in der Technikkultur selbst. Dieses Wechselspiel aus Wandel und Widerstand führt zu gewollten, vor allem aber zu ungewollten, Effekten bei der erfolgreichen Integration von Frauen in den Ingenieurberuf des 21. Jahrhunderts. 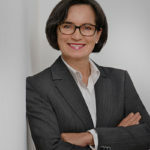 At the cloud software start-up BCMI Corp. Dorothee Andermann is as Vice President of Operations part of the management team and heads the development team. 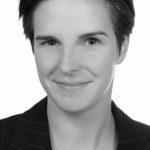 Dorothee Andermann is also the founder of Visio2Actio consulting start-ups from the vision of a new business idea to the result-driven execution. 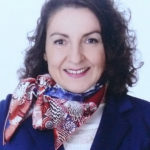 Before Dorothee had a successful 17-year career in the software industry in different global roles in development, product management, business development, solution management as well as partner management. 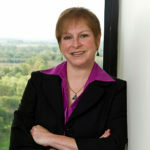 Dorothee also worked as lead “Lean” mentor and trainer on the Lean transformation at SAP. Dorothee is a solution expert for Cloud, Internet of Things / Industry 4.0, Security, Big Data and SAP solutions. Further, she has served on the advisory boards of software start-ups. Cloud Security – Aren’t all cloud solutions the same? Cloud as well as open source solutions are on everyone’s mind. What are the advantages of cloud? The user doesn’t need to be concerned about the technical infrastructure – installations are not mostly necessary – and mobile devices can be connected easily. This is efficient for companies and convenient for private end users. Reasons for choosing open source are mainly about saving licensing costs as well as the desire for open standards and reaching independence from vendors. But does that mean you have to pass on security? Is my data automatically secure if I pursue the offline strategy? The goal of the workshop is examining what cloud actually is and what security means in general. The loss of critical information by improper handling of data or by attackers from cyberspace causes serious consequences for companies but for private end users as well. What are the top 10 criteria to choose a secure cloud service? Sabine Möhring kann auf eine fast 20-jährige Erfahrung im Bereich Wirtschaftsprüfung zurückblicken. Sie war an unterschiedlichen Standorten in Deutschland tätig und verbrachte u.a. 2 Jahre in der Grundsatzabteilung von KPMG. Ihr Tätigkeitsschwerpunkt liegt in der Betreuung von international tätigen, börsennotierten Industrieunternehmen, sowohl im Bereich der Prüfung als auch in der Beratung. Zur Zeit ist sie als Lead Partner der Chorus Clean Energy AG sowie als Engagement Partner bei der Dräxlmaier Group tätig und leitet darüber hinaus in Deutschland den Sektor Energy & Natural Resources im Geschäftsbereich Audit. Darüber hinaus koordiniert sie das KMPG Network of Women (KNOW) und unterstützt weibliche Nachwuchsführungskräfte auf unterschiedlichen Plattformen. Durch ihr Studium der Wirtschaftspädagogik verfügt sie über eine Ausbildereignung und hat Coaching zu ihrer persönlichen Leidenschaft gemacht. Der Workshop startet mit einem Impulsvortrag zu Machtspielen: Frauen stoßen gegen die „gläserne Decke”, kämpfen gegen alte Rollenmuster und treffen dabei auf eine Arbeitswelt, deren Spielregeln sie nicht (vollständig) kennen. Diese Spielregeln müssen Frauen lernen kombiniert mit dem Bewußtsein, dass gute Leistung alleine eben nicht ausreicht. Welche Machtspiele finden hier statt, wie kann man sie besser verstehen bzw. sinnvoll damit umgehen? Machtspiele: wie wo und wann finden sie statt und warum hat „Mann” damit kein Problem. Ausgehend von dem Impulsvortrag steigen die Teilnehmerinnen in einen Erfahrungsaustausch ein. Im Form von Rollenspielen werden im Anschluß typische Situationen von Machtspielen simuliert, geübt, ausgetestet …. Nach einer Reflexion des Gelernten geben wir dann noch ein paar nützliche Tipps für den Alltag mit, getreu dem Motto: So lebt es sich leichter! 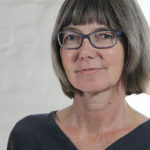 Dr. Vasseur is a full professor in the Department of Biological Sciences at Brock University where she is also a member of the Women and Gender Studies program and the Environmental Sustainability Research Centre. Since 2014, she holds the UNESCO Chair on Community Sustainability: form local to global at Brock. She currently leads the thematic group on Climate Change Adaptation of the Commission for Ecosystem Management of the International Union for Conservation of Nature. Her research program is highly interdisciplinary and links issues such as community-based ecosystem management, climate change adaptation and resilience and sustainable agriculture. Her community-research work with the City of greater Sudbury led her to receive in 2011 the Latornell Pioneers Award from Conservation Ontario. She has produced over hundred publications and more than 200 presentations as a researcher. 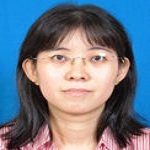 She works in China, where she is a Minjiang Scholar at Fujian Agriculture and Forestry University. Dr. Vasseur is currently the President of the Canadian Coalition of Women in Engineering, Science, Trades and Technology and President-Elect of the International Network of Women Engineers and Scientists. Expecting mother in a dangerous environment: is the support always there? While the number of women in non-traditional professions such as engineering and sciences has been rising in the past decades, there remain many barriers for them to be retained on the job. These barriers include: physical infrastructure (accessibility to toilets, etc. ), work conditions (from maternity, maternal care to work hours), equipment and attires, and mental barriers. Several of these barriers have yet to be addressed. There are many reasons for this but not all of them are well understood. For example, in small business, it is not always possible to add infrastructure that can be adequate for women. In many cases, unconscious discrimination may play a role as employers (who are mostly men) are not completely aware of the challenges faced by women. Education and information can help reduce these challenges but there is a need for finding solutions and plan of actions at all levels from governments to business and corporations. For expecting mothers, conditions can get even worse, especially if they work in an environment that is dangerous and can affect the health of the unborn baby. Dangerous environment can consist of chemical or biological agents, physical factors such as noise, heavy lifting, etc., or working conditions including protective equipment, long hours and washroom facilities. Health and safety rights apply to all employees who are pregnant but these rights may be difficult to be satisfied in those conditions. It may be fine if the employer can accommodate but this is not always the case. In Canada, for example, expecting mothers in STEM may have to deal with additional pressures due to their work conditions, especially if those conditions are dangerous for the mother or the unborn. For example, a Canadian woman who needs to be accommodated in those circumstances due to preventive reasons may have challenges due to current legislation that does not allow women to take maternity leave up to eight weeks before birth. These barriers can vary from country to country. For example, in UK, if the employer cannot alter the work or give an alternative, the employer must place the expecting mother on leave with full pay for as long as necessary to avoid the risk. In New Zealand, the Health and Safety in Employment Act puts the responsibility on the employer to identify potential or actual hazards, evaluate the significance of these hazards, and implement effective control. In this case, guidelines are readily available. Therefore, culture and legislation play important roles in how these conditions will change over time. The aim of this workshop / discussion is to present different scenarios and explore how in different countries these are dealt with. It will bring the discussion around how it is possible to create an inclusive workplace environment for woman that takes into consideration the current challenges. This workshop is a follow-up of a policy forum that was held in May 2016 in Ottawa, Canada. As a start to the discussion, some of the results from this forum will be presented to further the discussion. Participants will then be invited to give their viewpoints and suggest strategies on how these barriers can be removed. Mausam Mainali is working as Social Safe Guard Officer at the Trail Bridge Support Unit (TBSU) for HELVETAS Swiss Intercooperation Nepal. 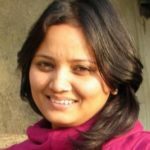 After her academic formation as Bachelor of Engineering Civil Engineering and Master of Science Engineering Management both at Acme Engineering College, Purbanchal University, Sitapaila, Kathmandu, she worked as a District Irrigation Engineer as well as District Road Maintenance Engineer. For her project’s contribution on promotion of small irrigation schemes managed by the community themselves she received the ‘Letter of Honour’ on behalf of LILI/HELVETAS. Overall education scenario of women is more encouraging than past several decades in Nepal. Female (≥5 years age) literacy1 rate is 57% with overall literacy rate 65.9% (National Population Census, 2011). However, the number of women attaining higher level of schooling tends to decrease gradually. Though, the school level enrolment of women is slightly higher (51%) than that of male, it has decreased at university level – university level enrolment of women is 50% (Ministry of Education/MoE, 2012). Enrolment of women students in science and technology is even less. Enrolment of women in engineering is only 17% (MoE, 2012). There are only 13% ofwomen engineers among the total engineers registered (22,087) in Nepal Engineering Council2 (NEC) in 2013.This means there are fewer numbers of practicing women engineers than men. There could be many reasons why this situation prevails in Nepal. A recent perception study was carried out by WISE Nepal among the professional women in science and engineering in Nepal. This study has found out that lack of career support and lack of job opportunities as major two constraints for women to progress in the field of science and engineering. Among others, lack of women role models and low self-perceptions of ability by graduate women have contributed to low presence of women in this field. WISE Nepal upon realizing these has become more active in advocacy for increasing career supports for women (through internships and reservations for women); in providing information about potential employers; and in increasing networking among the members to benefit from one another. Aude Abena is an Engineer in Telecommunication’s domain where she has spent more than 25 years. As a teacher, she is the Chief of Switch Department in the National Advanced School of Post and Telecommunications Yaoundé Cameroon. Attracting, developing and increasing the number of girls and women in engineering, technology and scientific fields, she is also involved in national, regional and worldwide networks and contribute to lead girls and women to attract them in STEM. ICT4ML², the initiative for the gender issue and eductation, is about using technological innovations, to adapt these new practises in our sociocultural context. To improve the use of ICTs in educational systems, strengthening capacity buildings and the acquisition of the knowledge for all learners. To target the best quality and relevance of education access, mainly for women and all learner in emergency situations. Outcomes are the effectiveness of introducing ICTs in learning processes in Africa localities and all stakeolders involved in the mobile learning process. The final goal being to dope the girl or the woman, with the knowledge which would have escaped her because of her feminine nature. So she will be able to face quite typical careers like STEM. Then, in term of parity, we will be represented by capable women and valid men. Silvia Poppa, Dipl.-Ing. Univ, Area Sales Manager bei Fujifilm Electronic Materials. Als Diplomingenieurin für Werkstoffwissenschaften fokussierte Silvia Poppa sich bereits im Studium auf Halbleiter und Elektronische Bauelemente. Ihre beruflichen Stationen: technische Expertin für Halbleiterprozesse, Projektmanagerin für Prozesstransfer nach Taiwan, Produktmanagerin für einen japanischen Lieferanten, über 10 Jahre Vertriebsverantwortung für regionale Microchip Produzenten sowie globale Key Accounts bei Fujifilm Electronic Materials. Seit August 2016 ist sie bei der Firma Atotech im Geschäftsbereich Semiconductors für den Vertrieb und Service verantwortlich. Der B2B-Vertrieb technisch anspruchsvoller Produkte erfordert vielschichtige und beratungsintensive Kundenbetreuung. Vom ersten Gespräch mit dem Kunden bis zur ersten Lieferung an den Kunden vergehen zum Teil mehrere Jahre Projektarbeit. Hier ist nicht nur Verhandlungsgeschick in Gesprächen mit verschiedensten Hierarchie- und Funktionsebenen auf Kundenseite und intern erforderlich. Auch detaillierte technische Expertise der Produkte, kundenspezifisches Verständnis ihrer Anwendungen, Qualitätsanforderungen, vertragliche Liefervereinbarungen sowie Kostenermittlung und Preisgestaltung wird vom Vertrieb gefordert. Rechtsanwältin, Senior Manager Social Policies Germany bei Airbus Defence and Space GmbH, vorher Senior Manager Compensation & Benefits bei EADS Deutschland GmbH. Biologist at the Bologna University (I), Ph.D. in Genetics at the Wageningen Agricultural University (NL) and Master of Scientific Journalism and Communication at the Ferrara University (I). As researcher in Italian and foreign public and industrial research institutes, she has developed and coordinated research in the field of biotechnology, focusing on gene transfer, GMO traceability and scientific communication. Since June 2011, at MUSE, research regards the interconnections between science innovations and society, and responsible research and innovations. 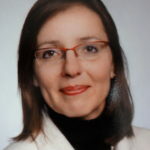 She is member of the boards of the Italian Association of Women Scientists and the European Platform of Women Scientists. She has been the president of the Commission for the Equal Opportunities of the Autonomous Province of Trento. Since 2005, the European Platform of Women Scientists-EPWS coordinates support activities to facilitate the active role of European women scientists from all disciplines and career stages; it represents their concerns, needs, ideas, aspirations and interests as researchers and as participants in the research policy debate in Europe. EPWS is giving a voice to 12,000 women scientists through networking, position papers, letters to decision-makers and consultation answers to the European Commission, in particular on Gender in Horizon 2020, and it is advocating the gender dimension in science. EPWS’s expertise is widely recognized, its members are participants or experts in gender-related EU projects. EPWS participates to the debate on the constraints which segregate women from science and depicts them as foreigners to this field, and alienate females from science education and careers: among these, the role-clichés and taboos still preventing women scientists to properly deal with power. Recent media attention to science and scientists and new communication platforms are giving women new visibility and opportunities to communicate about their activity, to express their opinion on the science landscape and to reflect on career chances. Through the analysis of how women scientists communicate on their experiences through on-line interviews available in Internet, we propose reflections on resistance and catalysts concerning science, knowledge and power. Yoga instructor, moderator, certified social pedagogue. For 17 years I have been practicing yoga and continuously taken part in further education, i.a. a three year yoga education at the yoga academy in Cavedine based on Heinz Grill’s “New Yoga Will”. Yoga is very popular especially for women. It is a good relaxing, mentally refreshing and motivating occasion in between the sessions. Many yoga pieces of wisdom can help us in daily routine. This workshop gives you the possibility, by strengthen your body and focusing on special body parts, to develop perspective of goals. The resulting power stabilizes and harmonizes people. The whole workout last about 45 minutes and can be practice by beginners and trained. If necessary, every position can be changed in a simpler position. For practising please wear elastic sportswear and bring a towel or a mat. Please enjoy: Every practice and position should feel comfortable and not displeasing. And now have fun! Graduated as an electrical engineer and as an engineer in Industrial Organization, both at ICAI Madrid in Spain, Vanessa Cavero is currently working on her PhD thesis at the University of Valladolid in fields of “Fault Detection in Inverter‐fed Induction Motors in Transient Regime”. She has worked in the private and public sectors covering various areas, from supplier relationship management to industrial observatory research projects in the energy and automotive sectors to participation in university research projects. From 2015 she is working as associate professor at Jaume I University, Spain as well as Freelance Engineer. need in today’s industry. Moreover, the number of fed induction motors has significantly increased in recent years. Therefore, several fault detection techniques have been lately proposed based, mainly, in an adequate input signal processing to obtain some fault signatures in the time and frequency domains. This research work is being done as part of my thesis, which is part of a collaboration between the University of Valladolid and the Polytechnic University of Valencia. The aim of this work is the development of a mathematical transform to detect failures, broken rotor bars and eccentricity, in inverter‐fed induction motor, focusing the analysis on the transient regime. This new transform will allow to track low energy fault related trajectories in the time‐frequency domain, and to distinguish them from other high‐energy harmonics present in the stator current spectrogram. Dr. – Ing. 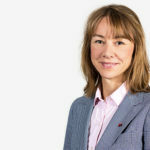 Annette Heeb-Keller ist seit 2015 Leiterin der eigenen Patentanwaltskanzlei. Zuvor war sie als Ingenieurin tätig in Wissenschaft und Industrie, 1995 folgte die Promotion. Ihr Arbeitsschwerpunkt war Programmierung und Berechnung von Kreisprozessen von Verbrennungsmotoren. Nach einer Ausbildungen im Patentwesen folgten verschiedene Arbeitsstellen in diesem Bereich, z.B. als Leiterin Patentabteilung IHI Charging Systems International GmbH. Patente stehen im Spannungsfeld zwischen Wissen und Markt‐Macht. Ausgehend vom ingenieurwissenschaftlichem Wissen können Innovationen geschaffen werden, die als Patente in der freien Marktwirtschaft ihren Niederschlag finden. Sobald Patente existent sind bedeutet dies, dass ein freier Handlungsspielraum bei der Entwicklung neuer Produkte und Verfahren begrenzt ist. Dadurch ist für den Patentinhaber ein Technologievorsprung geschaffen, der ihm einen Wettbewerbsvorsprung und damit eine Markt‐Macht ermöglicht. Andererseits fördert dieser begrenzte Handlungsspielraum wiederum weitere Innovationen, da er Wettbewerber zur Bereitstellung von Umgehungslösungen auffordert. Ein Patent erfordert die Offenbarung mindestens eines Ausführungsbeispiels, welches nacharbeitbar ist. Je nach Produkt oder Verfahren und Branche kann es sinnvoll sein, Markt‐Macht durch Geheimhaltung von Wissen zu halten, zu sichern oder zu erlangen. Mary Mwangi holds a Bed (science) Hons in Education, Botany and Zoology and an Msc (Genetics) both of Kenyatta University. She is currently a PhD Fellow, Lecturer and researcher, staff mentor and academic advisor in the Department of Biochemistry and Biotechnology at Kenyatta University. Her area of specialization is banana Biotechnology; specifically disease resistance breeding and the popularization of tissue culture banana seedlings among rural farmers in Kenya. Mary has won several training fellowships, research grants and travel grants which have enabled her to undertake research, make presentations in regional and international conferences and participate in leadership and biotechnology training programs. Mary is also a member of several professional bodies including INWES and AWSE. She is an executive member of the Association of African Women in Science and Engineering (AWSE), where she is currently serving as the secretary. 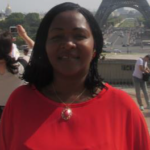 Through this association Mary has gained experience in implementing regional programs and organizing international Conferences including 3 INWES/AWSE regional meetings in Africa (2004 and 2013 in Kenya and 2015 in Uganda). The Chemical mutagen, Ethyl methane Sulphonate (EMS), was used to induce variation in two Kenyan AAA cultivars ‘Kampala’ and ‘Nyoro’. The objective was to evaluate the variants for host response to Black Sigatoka caused by Mycosphaerella fijiensis. Intact and longitudinally dissected in vitro shoot tips were exposed to 4 doses (25, 50, 75,100 mM) of EMS. The M1V 4 generation were evaluated for agronomic traits and screened for response to M. fijiensis in the greenhouse. Variations in plant height, pseudostem girth, number of days to flowering, leaf index and the number of fingers per hand were observed. A positive correlation between plant heights, number of functional leaves at harvest and the total number of fingers/bunch was also evident. The incubation and evolution phases of the disease were significantly higher for the mutagen-treated plants. The variant lines were further screened for host response using a double in vitro selection procedure. Compared to the controls, 5 % of the toxin tolerant plants exhibited improved resistance but had undesirable variations. The control plants, though more susceptible, had superior agronomic traits. The results are discussed with respect to the application of in vitro mutation induction as a strategy to bridge the biotechnology adoption gap by developing countries. Director of Medienwerkstatt at Kulturwerk Bbk Berlin, PHD-student in computer science at University Potsdam for complex multimedial architectures, Associate professor at the University Computing Center of Freie Universität Berlin as well as at Hochschule Emden/Leer, Information Technology. Visiting professor for Artistic Transformation Processes, University of Art Berlin from 2007 until 2009 and at the Universidade Federal do Rio Grande do Sul, Brasil in 2015. In times where Data is visible the question is which way we chose. Do we use Datastreams to destroy humanity or do we use it to improve our civil society? Companies already use our Data aggressively for business without regarding constitutional law. We know this aggressivity from dogs. When they are in fear they bite. Nach dem Bachelor Wirtschaftsinformatik an der TU München absolvierte sie den Master of Information Systems an der Universität Lund, Schweden. Derzeit arbeitet sie im Enterprise Information Management Strategie bei BMW. Pimp my Tarifvertrag – wie komme ich schneller weiter höher? Viele Ingenieurinnen arbeiten innerhalb der Strukturen eines Tarifvertrags. Wissen was in einem Vertrag steht ist eine Sache, wie man ihn konkret auf seine eigene Lebenssituation zum eigenen Vorteil anwendet ist eine andere. Dieses Paper zeigt am Beispiel des Entgeltrahmen Tarifvertrags der Metall- und Elektroindustrie (ERA-TV) sowie den erweiternden Betriebsvereinbarungen der BMW AG und der Airbus Group wie man solche Regelungen für seine eigene Lebenssituation sinnvoll anwenden kann um möglicherweise schneller weiter höher zu kommen. Aufgrund der hauptsächlich weiblichen Zielgruppe dieser Konferenz wird im Folgenden ausschließlich von „Mitarbeiterinnen“ gesprochen. Selbstverständlich sind sämtliche Erkenntnisse auch für Mitarbeiter anwendbar. Yvette Ramos holds Master’s degree in Science of Engineering from the Ecole d’Ingénieurs EPF and Master’s Degree in Human Resource Management and MBA “Change & Technology Management” from IAE Aix-En-Provence, France. 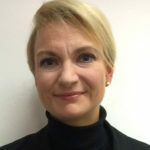 With a background in Engineering she has developed extensive knowledge of human resources management theories and principles, as well as modern management techniques, implementation of human resources planning and career development programmes. Over the last fifteen years, she worked with international teams, in the private and public sector, in the business and humanitarian environment. 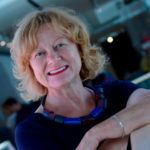 She holds the position of Expert at the specialized UN Agency ITU, the International Telecom Union, Development Bureau, and the World Meteorological organization, both with HQ in Geneva, Switzerland. 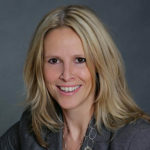 Her current position is Managing Director of an Intellectual Property Law firm based in Geneva. Besides, she is active member of the French Association of Women Engineers (FI), the Portuguese Women in Science Association (AMONET), the International Network of Women Engineers and Scientists (INWES), as well as the first woman president of the Swiss Engineering Geneva chapter and Chairperson of the Romandie Committee of Swissengineering, and Director for Europe West of INWES. IPR (Intellectual Property Rights) systems aim at protecting innovation, your innovation! This paper will present concrete tools for entrepreneurs to better protect their ideas, and format innovation strategies, while highlighting women innovators who have contributed significantly to the Humanities progress. In this paper, state-of-Art of IPRs management in developed and developing countries and regions, will be presented, as well as concrete cases, with a focus on how to manage your innovation. Innovation, entrepreneurship and strategic management are the keys to wealth recipes. 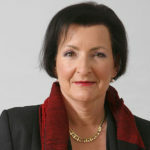 Doris Schmitt-Landsiedel is head of the Institute of Technical Electronics since 1996. Before, she worked at Siemens on design of analog, digital, mixed signal and memory circuits and low power circuits for digital hearing aids. 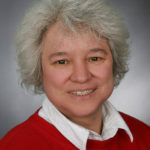 She is member of the German Academy of Science and Engineering acatech and of the Senate Evaluation Committee (SAE) of the Leibniz Association. 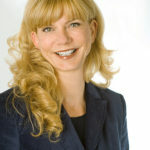 She is member of the supervisory board of Infineon Technologies. Her research is in design of reliable CMOS circuits using proprietary models on degradation phenomena and monitoring circuits, in circuits with novel semiconductor devices and in development of nanomagnetic logic (NML) devices plus NML logic circuits. In 2008 she got the order of merit of the Federal republic of Germany, and in 2009 the Heinz-Maier-Leibnitz-Medal of TUM. In 2012 she as awarded with the Bavarian Maximilian Order for Science and Art. In the MSCE program she offers a lecture, a lab course in mixed signal design and a seminar. First studying Computer Engineering at Azad University, Teheran Rita Pour Nourbakhsh continued her academic formation with Master of Science in Geographic Information Systems at University of Science and Research, Tehran. 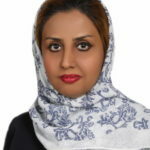 After employments in fields of programming and managing computer sides, she worked at Negareh Company as project manager of geographic information system in area of water and wastewater, city planning as well as teaching GIS to Government agencies. At Moshanir Company she held the position of expert of wind projects as well as Head of the GIS department. Since July 2016 she is working at Fanava Card Company in the position of PMO. Wind energy is increasingly used in the world. Site selection of wind turbines is too important for increasing their performance and it is necessary to consider effective parameters in site selection. Main objective of study is selecting appropriate site to establish wind turbines in Siahpoush village. Firstly, criteria maps prepared making use of access, geographical and technical criteria analysis. Then AHP model used and weight of the criteria was determined. Weighted index method used for overlapping criteria and based on results, proper areas defined that are mainly located in the north of Siahpoush village. Dipl.-Ing. Christa Holzenkamp ist seit 2004 freiberuflich tätig als Management und Marketing Consultant. 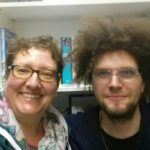 Sie berät Unternehmen strategisch und operativ zu Positionierung, Außenauftritt und Geschäftsmodellierung wie auch zur Gewinnung und Bindung von Kunden, Partnern und Mitarbeitern. Als Interim Manager (beg-)leitet sie Restrukturierungs-, Post-Merger-Integration-, Out‑/Insourcing-Projekte. Ihr breites Wissen und die Erfahrungen sammelte sie in Produktmanagement, Marketing und Vertrieb sowie Fach- und Führungsfunktionen bis zur Geschäftsleitung in weltweit tätigen Konzernen der Automobil-, IT- und Telekommunikationsindustrie. Ausgangspunkt dafür war das Ingenieurstudium der Architektur an der Hochschule für Technik in Bremen. Welche Talente sollte eine Führungspersönlichkeit haben? Welches Potenzial haben Frauen in Führungsfunktionen? Sind Chefinnen die besseren Chefs? Diese und weitere Fragen will dieser Beitrag beantworten. Einleitend gibt die Referentin einen Überblick zu Führungsrollen und -verhalten sowie zur aktuellen Situation am Arbeitsmarkt. Außerdem berichtet sie aus ihren Erfahrungen und Einblicken in verschiedene Unternehmen als Interim Manager. Zwei kurze Einzel- und Gruppenaufgaben werfen vielfältige Schlaglichter auf die weiblichen Führungsqualitäten. 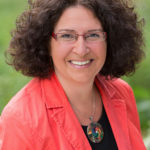 Als Diplom-Physikerin, Systemischer Business Coach und Moderne Mentaltrainerin steht Simone Brückner für eine systematische und analytische Herangehensweise gepaart mit aktuellen, fundierten Erkenntnissen aus Hirnforschung, Psychologie und Coachingpraxis. 25 Jahre Erfahrung in MINT-Berufen und konsequente Weiterbildung auf dem Gebiet der Neuroforschung. Die Expertin für Emotionsmanagement und Mentale Stärke unterstützt Menschen dabei, die Herausforderungen des Alltags mit mehr Gelassenheit, Flexibilität und Kreativität zu meistern und ihre Problemlösungskompetenz zu stärken. Der Vortrag „Emotionen an die Macht!“ spielt mit dem Klischee der emotionalen Frau und dem weit verbreiteten Glaubenssatz, dass Emotionen im Business nichts zu suchen haben. Tatsächlich wissen wir aber aus der Gehirnforschung, dass es keine nicht – emotionalen Entscheidungen gibt. 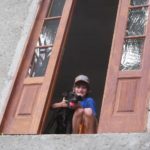 Welche Rolle spielen also Emotionen bei der Entfaltung unserer Leistungsfähigkeit, Kreativität und mentalen Stärke? Welches sind die „richtigen“ Emotionen, um machtvoll im Business zu agieren und wie kann Frau sie gezielt nutzen? Erweitern Sie Ihre emotionale Klaviatur und tun Sie gleichzeitig etwas für Ihre Gesundheit, Widerstandsfähigkeit und Resilienz. Emotionale Landschaft – hilflos auf der Achterbahn oder kontrollierte Power? 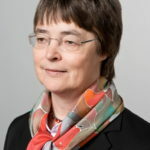 Helene Götschel, Diplom-Physikerin und promovierte Sozial- und Wirtschaftshistorikerin, ist Maria-Goeppert-Mayer-Professorin für Gender in Ingenieurwissenschaften und Informatik an der Fakultät für Maschinenbau und Bioverfahrenstechnik der Hochschule Hannover. Davor war sie als Gastprofessorin an Universitäten in Darmstadt, Kaiserslautern und Oldenburg sowie als Gastwissenschaftlerin an Universitäten in Hamburg, Kiew und Uppsala tätig. Sie verfügt über eine knapp 20jährige Lehrerfahrung im Bereich Gender und MINT und unterrichtet aktuell interdisziplinäre und physikalische Grundlagenveranstaltungen in Elektrotechnik, Maschinenbau, Informatik und Wirtschaftsinformatik. Helene Götschel forscht und veröffentlicht an der Schnittstelle von Geschlechterforschung, Geschichte und naturwissenschaftlich-technischer Bildung. Max Metzer ist Diplom-Physiker und arbeitet derzeit an seiner Promotion an der Fakulät für Verkehrswissenschaften “Friedrich List”, TU Dresden. Parallel beschäftigt er sich mit Gender MINT Themen als wissenschaftlicher Mitarbeiter der Hochschule Hannover. erforscht werden. Der Vortrag skizziert zunächst die Geschlechterforschung zu Maschinenbau und Physik und stellt das Fachgebiet Gender MINT an der Hochschule Hannover vor. Die Umsetzung einer Gender und Diversity-Perspektive in Forschung und Lehre wird anhand von zwei Beispielen erläutert. Vorgestellt wird, wie in der Lehre in der Grundlagenvorlesung Physik für Studierende des Maschinenbaus eine Gender und Diversity-Perspektive jenseits von Defizit und Differenzansätzen umgesetzt werden kann. Ziel ist es, einer größeren Vielfalt von Studierenden den Zugang zum Studium zu ermöglichen. Die Umsetzung einer Gender und Diversity-Perspektive in der ingenieurwissenschaftlichen Forschung veranschaulicht das zweite Beispiel. Vorgestellt werden Forschungsdesign und erste Forschungsergebnisse aus dem laufenden Promotionsprojekt „Optimierung von Radprofilen unter neuen und vorhandenen Fahrwerkstechniken und NewMaterialism“. Ziel ist es hier, Entscheidungsprozesse beim ingenieurwissenschaftlichen Erkenntnisgewinn offen zu legen. Post graduate in science of education (2005), Ms SARR is professor of Natural science since 1983. With 19 years teaching at higher school including 3 years as coordinator of the World Links Project (ICT), and GLOBE Program Coordinator / Senegal (Global Learning and Observations to benefit the environment). In 2002, Ms SARR was appointed Technical Advisor in charge of Girls’ Education, Science, Environment and ICT at the Presidency of the Republic. 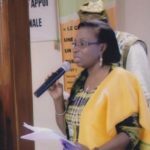 In addition, Ms. SARR is the Founder President of the Association of Women for the promotion of Science and Technology in Senegal (AFSTech/Senegal). Ms SARR is member of INWES Board since 2011, and now Director of Africa Francophone. Currently, Ms SARR is the Head of Division of Cooperation and Partnership at the Ministry of Posts and Telecommunications. As the digital economy is becoming more important, it appears to provide an answer to the innumerable problems of young graduates. Digital economy option is an adequate response to youth employability if well supported and if the “maturation” of the startups in incubators is sufficient to ensure the sustainability of the company. This issue returns us to reflect the classic view on entrepreneurship and to what extent the rethink, because it no longer fully meets the needs of populations. So we must see the opportunities of the digital economy. Dr. Okon is a Scientist and a Researcher, currently lecturing in Agriculture Unit of the Department of Vocational Education, University of Uyo, in Akwa Ibom State of Nigeria. 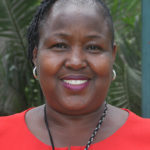 Her research interest areas include; Agricultural Sciences, Education, Entrepreneurship, Gender developments/studies, ICT in Education, Vocational Sector studies and skill Training and Innovation, Strategic Development Studies and Policy Analysis. She is a leader and/or member of 15 professional bodies including: the 1st Chair- INWES Africa Regional Network(ARN), she has served as the INWES Director for Africa 2011-2014, President-Organization for Promoting African Girls in Science and Technology Education (OPAGESTE), Vice President-Educational Research Network for West and Central Africa (ERNWACA) – South-South Zone in Nigeria, she is a Member of Board of Directors-INWES Educational Research Institute and Member of DORBEN Polytechnic Governing Council-Abuja Polytechnic among others. The paper reviews the critical links between power and knowledge. It explores selected types of knowledge and further establishes knowledge as source of conscious and unconscious actions. It views levels of knowledge as the ladder to leadership and power for the woman. A conceptual framework is presented and backed up with some learning, social and psychological theories. 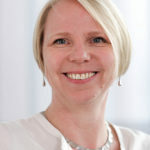 Katharina Schüller is an expert for Data Analytics. Her book „Statistik und Intuition“ was released in 2016. She is founder and executive director of STAT-UP Statistical Consulting & Data Science. Hohe berufliche Anforderungen und familiäre Verpflichtungen können zu ständigem Stress bis hin zu Burn-out führen. Was kann die Einzelne hier für sich tun? Welche Möglichkeiten bietet Reiki für den Umgang mit Stress? Wie kann frau lernen, ihre Batterien wieder aufzuladen? Nach einer Einführung zur Historie und Entwicklung von Reiki, werden die verschiedenen Anwendungsfelder für den persönlichen Gebrauch bis zur Therapiebegleitung in Kliniken (Behandlung zur Genesung der Frauen nach Operationen in der Frauenheilkunde) vorgestellt. Einfache Übungen lassen die „universelle Lebensenergie“ spürbar werden. Das gesamte Programm dauert etwa 90 Minuten und kann sowohl von Anfängerinnen als auch von bereits Geübten ausgeführt werden. Bitte kleines Handtuch und dicke Socken mitbringen. Christina Haaf M.A., studied History, German and Romanistic Literary Studies (French, Spanish). 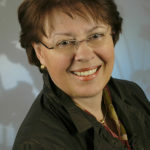 Since 2000 she is consultant for public relations in the Competence Center Technology-Diversity-Equal Chances and since 2008 within the National Pact for Women in MINT-Careers “Go MINT” (MINT = Mathematics, Informatics, Natural Sciences and Technology) responsible for the public relations and international affairs. There are several and very different networks on an international level aiming at attracting and empowering more women for technical careers at all levels. The workshop addresses activists who are already involved in international networks or who are interested in getting involved. The session invites the participants to exchange practical experience with the intention to start a straight-forward knowledge-sharing between different partners and networks.